Welcome to the Second Annual Natural Parents Network Holiday Gift Guide! If you need to complete your holiday shopping, find a birthday present for a friend, or just treat yourself to something special, the NPN Holiday Gift Guide has something for everyone. But what's even better, the NPN Holiday Gift Guide is a great opportunity to shop consciously and to support many naturally minded small businesses. The companies that have provided items for review and giveaway are almost exclusively made up of work-at-home shops or companies that are dedicated to supporting eco-conscious choices. Below you will find information on 54 companies from 22 of our NPN volunteers. The companies are giving away over 58 products, subscriptions, and gift certificates, for a total combined value of over $2,500! As you scroll through the Gift Guide, we encourage you to click on the links for each of the reviews — look for the links to our volunteers' blogs in each heading and read their full review! Our volunteers have crafted thoughtful posts on each participating company with pictures of and links to products that are simply perfect for our natural parenting families. You can enter to win every giveaway by using the Rafflecopter system below or via the reviewers' site. Even if you don't win one of our fabulous prize packages, please consider spending part of your gift-giving budget at one of these small businesses. By supporting small businesses, you are helping families, boosting local economies, and supporting ethical practices of manufacturing, production, and selling. We know that budgets are tighter and finances may be difficult, but by purchasing from small, family-owned businesses, you know you will be receiving quality items made with appropriate business practices and personal customer service, all while supporting another family's endeavors. And after you're done checking out the incredible companies, jump down and enter in one or more of the six Rafflecopter widgets below! 5 Minute Recess is a babywearer's dream shop! Julia from A Little Bit of All of It shares with us the gorgeous handwoven wraps, ring slings, wrap bags and even wrap scrap creations she found on their site. If you love unique colorways, beautiful fringe and a super supportive but thin weave, the Inda Jani handwoven wraps from 5 Minute Recess will be perfect for you! They also carry a thicker weave as well with a little more cushiness. The best part is how affordable they are! If you have a babywearer in your life, any of the Inda Jani wraps, ring slings or wrap creations would be a lovely and special gift. Use coupon code bwing10 at checkout for 10% off! All U.S. orders ship free! 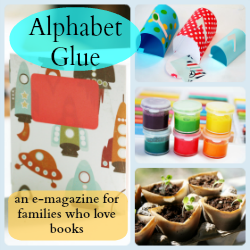 From Lauren of Hobo Mama, check out Alphabet Glue, which is a delightful e-magazine filled with activities and inspiration for families who love books. Each seasonally thematic PDF issue is full of charming photographs, exciting science experiments, literary-themed crafts, story-building activities, and related booklists to further the love of reading. The set of 5 e-issues included in this giveaway include projects such as pinhole viewboxes, shoebox string instruments, animated cartoon cards, incredible inflatable eggs, monster toothpaste, story starting pods, homemade bouncy balls, DIY natural history museums, Morse code messages, and many more! This e-magazine would be a perfect gift for a family interested in homeschooling or extending natural learning into their everyday lives. Lauren of Hobo Mama shares how Appleseed Lane will spark a lifelong love of learning with monthly boxes full of science experiments and lesson-based crafts. Geared toward ages 4-10, these boxes are perfect for homeschoolers and natural learners. Boxes can be purchased a la carte or at a discount with a 6-month or 1-year subscription, and there's an optional sibling add-on for extra supplies so no one has to squabble over the fun! Each box has a theme (such as Halloween, Mystery, and Electricity) and an educational children's book full of fun facts and colorful illustrations, and all the supplies for the experiments and crafts are included, with easy-to-follow illustrated instructions. Have fun learning and playing with an Appleseed Lane box surprise every month! Use coupon 5off for $5 off for "Join" or "Gift" Subscriptions! In addition, orders between now & December 6th will be part of the "Get 1, Give 1" campaign to support children in need! Purchase a subscription or gift certificate & Appleseed Lane will donate a box to the Arlington-Alexandria Coalition for the Homeless for the holidays on your behalf! Homeless children represent 60% of AACH's clients. Read the full review. 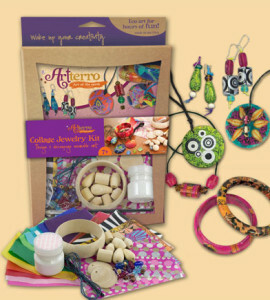 From our reviewer, Jorje of Momma Jorje, a Collage Jewelry craft kit from Artterro. Jorje's teen daughter, Tyler, helped her review this product for content variety, fun and sturdiness. The kit includes a great variety of materials for designing 6 unique jewelry pieces, which is a fun family activity for older kids, and no two kits are exactly alike. Jorje and Tyler also thought having the box turn into a frame for finished artwork was ingenious! Artterro offers a huge range of kits for younger kids all the way up to teens. The Baby K'tan Baby Carrier is a unique baby carrier that offers the comfort and support of a stretchy wrap without the wrapping. It is safe for use with newborns and safely supports babies up to 35 pounds in multiple carrying positions with ergonomic positioning for baby and comfortable support with even weight distribution for the wearer. Made from 100% cotton knit fabric, there are no buckles or straps and no confusing wrapping techniques to master. 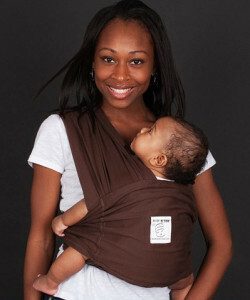 With its ease of use and variety of gender-neutral colors, Baby K'tan is a great carrier for moms and dads alike. The K’tanCloth 3-in-1 can be used as a burp rag, a nursing cover, or a blankie. It features easy on-and-off Velcro to attach it to baby carriers, nursing tanks, stroller handles, and an open-pocket design to catch messes. This breathable cloth is made from absorbent microfiber on one side and soft cotton on the other. Check out Joella of Fine & Fair and read her full review. And just for NPN readers, use coupon code BKNPN15 for 15% off your order between now & December 31. Back To Blocks is an awesome US based company that makes handcrafted, all natural building blocks for children of all ages, and each set comes with its own storage bucket for easy clean up after play. Whether you are looking for a small starter set perfect for a preschooler, or a large building block set for your child's classroom, Back To Blocks has natural hardwood blocks that are smooth and sliver-free, and will last for generations. Check out Megan of Boho Mama and her full review! Barefoot Books was born over twenty years ago by two young mothers who wanted to make a difference in the world while keeping their children at the center of their lives. Barefoot Books opens a child's mind with their one of a kind stories and breathtaking artwork. Barefoot Books offers books for babies all the way up to advanced readers, they also offer singalongs, puzzles, games, and puppets. Angela of Earth Mama's World tried out Barefoot Books with her family and found that the products offered at Barefoot Books not only spark a child's curiosity and creativity, they also help a child develop a respect for cultural, social, and ecological diversity. Barefoot Books is also an environmentally conscious business that believes that the welfare of our children is dependent on the welfare or our planet. They recognize social accountability and implement many practices that help to reduce their carbon footprint. From November 24 through December 7, NPN readers can use coupon code NATURALPARENTS at Barefoot Books for 25% off their entire order! 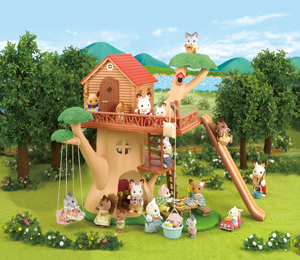 Come meet the Calico Critters! These are an adorable, fuzzy, lovable series of miniature animals and their world full of adventures. Marybeth of Natural Mom Reviews tried out Calico Critters with her daughter & loved the Koala family: mother Sheila owns her own eco-friendly shop; the papa, Bruce, is the leader of the Cloverleaf Corners Environmental Awareness Society; sister Adelaide wants to start her own eco-fashion company when she grows up; and baby brother Joey is very attached to his mother and loves playing outside and being worn on his mom & dad's backs. They live in an adorable adventure-filled treehouse! Carry Me Baby Carrier rental service offers parents the opportunity to try out baby carriers before investing in them. High-quality baby carriers truly are an investment, and this service allows for the chance to try a variety of styles out to help parents determine which carrier best suits their needs for much less than purchasing a full line of carriers new to try! Options include buckle carriers, Mei Tais, ring slings, and woven wraps and come in sizes that will accommodate babies and wearers of all sizes. New wearers have the option of receiving a free e-mail consultation to help choose the best carrier to try, and clean and sanitized carriers are shipped within 48 hours of completing the rental agreement. The renter uses the carrier as if it were their own for the duration of the rental period, then returns it when done. A gift certificate from Carry Me Baby Carriers makes the perfect gift for new parents or parents new to baby wearing. Check out Joella's review over at Fine And Fair. And just for our readers, enter code NPNdiscount for 15% off any rental or purchase between now and December 25. Discount can be used for any carrier rentals or gift card purchases. From our reviewer Abbie at Farmer's Daughter, the Ergobaby Organic Baby Carrier is a soft structured carrier. It's versatile enough to use from infancy on up to four years old, with three comfortable carries. I've carried both of my big boys in front carries so they could snuggle to sleep while out and about, or on my back for big adventures, or to soothe an overtired child so I can get some housework done in the evenings. Made of 100% Oeko-Tex certified organic cotton, it also comes with a hood that's UPF 50+. 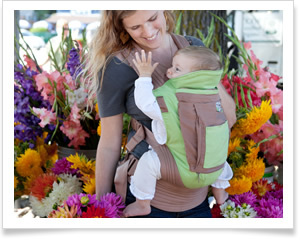 Enter to win an Ergobaby Organic Baby Carrier for a very comfortable babywearing experience for baby and parent! From our reviewer Shannon of Pineapples and Artichokes, a review of the ErgoBaby Swaddler: The ErgoBaby Swaddler is an easy to use and safe way to help your baby sleep more peacefully. Recommended by moms and medical experts alike, the Ergobaby Swaddler's innovative features help prevent your baby from startling awake while the ergonomic design allows for natural movement of baby's hips and legs as recommended by the International Hip Dysplasia Institute. That Mama Gretchen and her little one can't get enough of Freshly Picked's beautiful handmade leather moccasins. With a great fit and adorable colors, Freshly Picked moccs are the perfect gift for babies, early walkers and more (available in sizes 1-10). These Moccasins are soft-soled shoes that will make sure your baby stands out in a crowd! But with so many lovely colors, how will you choose just one?! GDiapers are an ecofriendly hybrid diapering system that offers the flexibility of using cloth or disposable, biodegradable inserts in their reusable gPants covers. Abbie from Farmer's Daughter has used gDiapers with both of her sons for over three years, and she loves that she is able to use either cloth or disposables, without all the plastic and chemicals found in a conventional diaper! Disposable inserts can be flushed, composted (wet only), or thrown away. Matching clothes and baby legs complete the adorable look! Enter to win a gVeggie ensemble including gPants, a tee and gLegs, a set of 6 gPants reusable covers, a case of disposable inserts and gWipes! Highlights for Children has the perfect magazines for any child: Hello for ages 0-2, High Five for ages 2-6, and Highlights for ages 6-12, plus puzzle, geography, hidden pictures, and math magazines as well as educational books and toys. 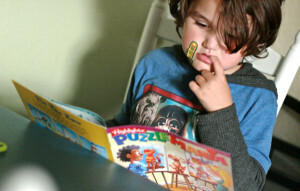 Highlights has been publishing "fun with a purpose" since 1946, and today's editions include engaging illustrations and enjoyable extras like stickers and cut-outs to engage any kid's interest. A subscription to one of Highlights' many magazines would make a perfect gift for a child of any age and a family interested in home learning. Check out Lauren & read her full review on Hobo Mama! Jupiter’s Child is a small company of three multi-talented women. They bring a collective background of experience in woodworking, handwork, and graphic design. The talents of these three women come together beautifully in their etsy shop which is full of extremely high quality toys, children's clothing, and Waldorf craft supplies. Kellie got the privilege of reviewing their organic cotton "Peace Chicken" toddler tee and carved wooden hedgehog. Read the full review over on Our Mindful Life! 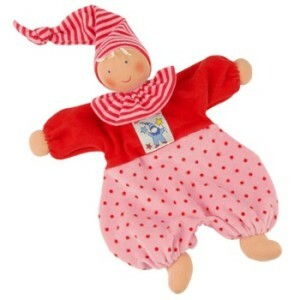 Käthe Kruse has over 100 years experience making quality handcrafted dolls. These charming dolls are all made from hand, not mass produced, and have a unique design that encourages creativity and promotes cooperative play. These dolls are made to last generations, not years! All of the Käthe Kruse products are made with handcrafted detail and environmental consciousness. Angela of Earth Mama's World tried out the Mini Me Waldorf Doll with her lovely family and shares the joys of their beautifully crafted toys in her review. Read the full review! NPN readers can use coupon code NPNDISCOUNT10 for 10% off a whole order through November 30. 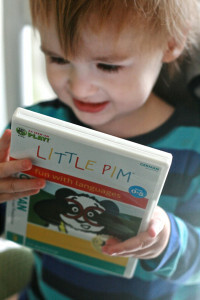 Little Pim offers an Entertainment Immersion Method to make learning a foreign language fun for kids 0-6. Little Pim the panda guides kids through immersion DVDs in one of 11 languages, giving children useful vocabulary and simple, grammatically correct sentences for everyday living, on topics such as Eating and Drinking; Playtime; In My Home; Happy, Sad, and Silly; and more. The Discovery Set that's part of the giveaway contains 3 DVDs featuring over 180 basic words in the winner's choice of language, a panda plush toy, and a Little Pim poster. Lauren from Hobo Mama tried out Little Pim with her family and shares her experiences in her review. for 20% off any product on their website. From our reviewer Laura Burns of Pug In The Kitchen, Mama Made Them is a fantastic Etsy shop that is dedicated to handcrafted wooden toys that are both beautiful and durable. Mama Made Them offers a huge selection of wooden toys your children will love, from wooden swords, dollhouses, animals, and lovely keepsake ornaments. Laura's children loved their new toys & are sure to play with them for years to come. 10% off a whole order through December 31. 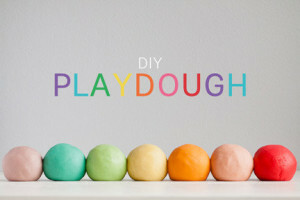 Kellie of Our Mindful Life reviews Mrs. C's Gluten Free gluten free playdough, Make & Play playdough, and watercolor paints set! Kellie's family had fun with the Halloween Eye See You gluten free playdough in vibrant, fun, nibble safe colors, the Make & Play playdough, and watercolor paints from Mrs. C's Gluten Free. Mrs. C's Gluten Free stocks organic, gluten-free, chemical-free, and petroleum-free school supplies you will love! Janina from My Chickadee Designs, learned to sew when she discovered she was pregnant with her daughter. She now creates diaper bags, wet bags, totes, reusable snack bags, and a mini carrier for children. My Chickadee caters to families that live a natural and greener lifestyle. This lifestyle inspired the creation of the Mini Carrier. This wonderful children's carrier allows a child to carry their doll or animal just like you carry your child. 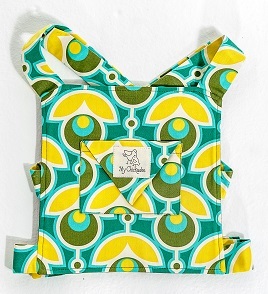 The mini carrier is wonderful for a child welcoming a new sibling and makes a perfect gift! My Chickadee products are easy to clean, machine washable and lead & phthalate free. All of the products offered by My Chickadee are designed by a mom and made in the USA. 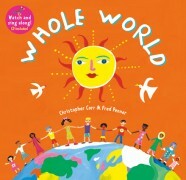 Read Angela's full review at Earth Mama's World. 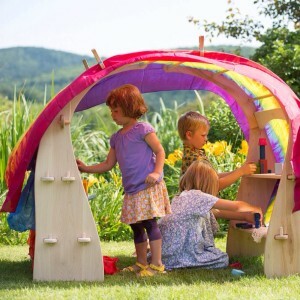 At 9 feet long and 4.5 feet wide, Nova Natural's beautiful rainbow silk is big enough to turn your play structure into a fairy castle or your floor into a rainbow river. And because it is hand-dyed in the United States, each silk is one of a kind. 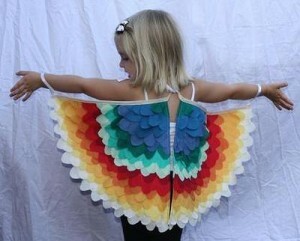 Bring magic and beauty into your home with your own Silk Rainbow from Nova Natural. Free shipping on orders over $100! Read more from Dionna of Code Name: Mama. From our reviewer, Julia of A Little Bit Of All Of It, Onya Baby makes going anywhere with your baby a breeze. Comfortably wear your baby, toddler or preschooler on your front or back and securely and ergonomically carry them wherever your journeys take you. The best part is this unique baby carrier has an integrated chair harness that transforms pretty much any seat into a safe place for your baby to sit. Carry all you need with you in the two zippered double entry pockets and entertain baby by using the toy loops on each shoulder strap. With a weight limit of 75 pounds and an extra high back, this carrier goes well into preschool-hood comfortably. 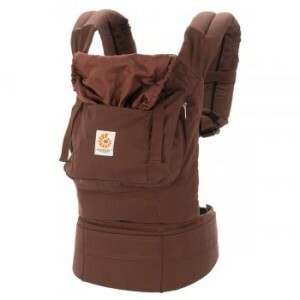 And with the new addition of the Onya Baby Booster, you can even wear your newborn in this carrier! If you have anyone on your holiday gift giving list that takes care of a young child, the Onya Baby Cruiser would be the perfect way to give them hands free mobility with their young one. 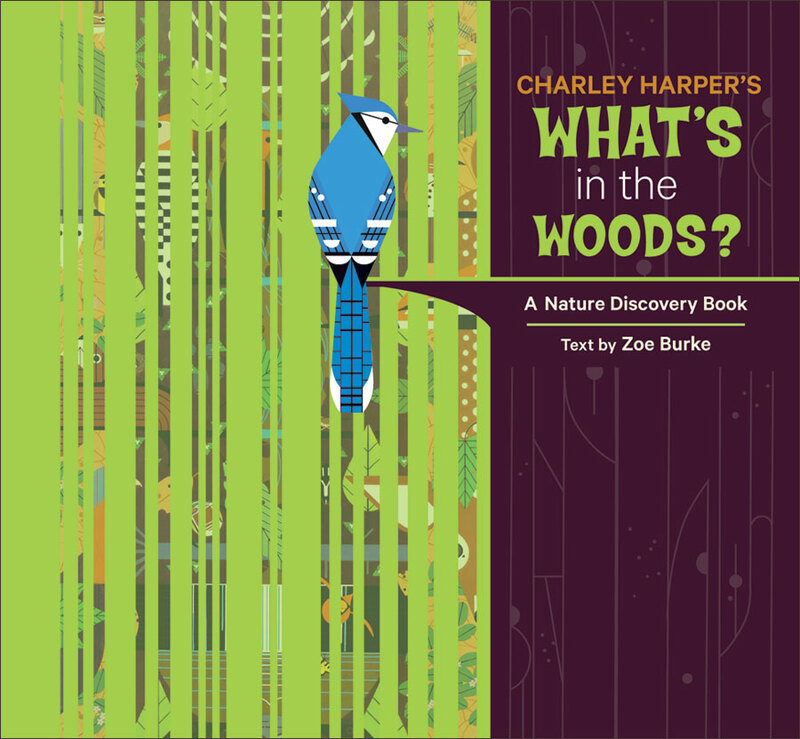 Pomegranate Kids is sharing from their series of Charley Harper Nature Discovery Books with us! 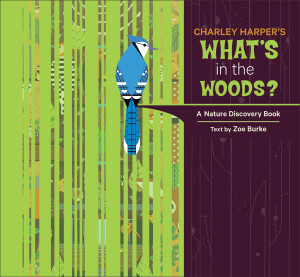 Drawing from Charley Harper's Birdicopia comes a wonderful book and sticker set that not only introduces children to the artist's interpretation of things in nature along a walk through What's in the Woods, identifying plants and animals along the way. Jennifer from True Confessions of a Real Mommy shares how her bird-loving children reacted to the story and sticker book. 20% off your entire purchase at Pomegranate Kids! 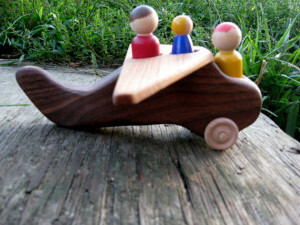 Rainbowsouffle is a colorful, whimsical Etsy shop created to fill the gap in the children's' toys & clothing market for gender neutral items that will bring hours of play and joy to your children. This shop is geared towards the more colorful families amongst us. 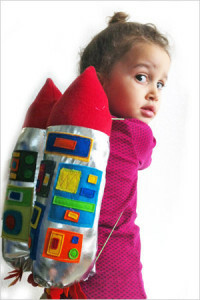 Rainbowsouffle offers wearable children's toy JetPacks, Handmade wishing Star& Moon mobile sets, Handmade Ribbon Dolls, and more. Each item is carefully designed and handcrafted with love & a great attention to detail to create a one of a kind product your child will cherish for years to come. Read the full review from Lauren of Hobo Mama! Use code naturalparents for free shipping in the US until December 31. On your blocks, get set, go! 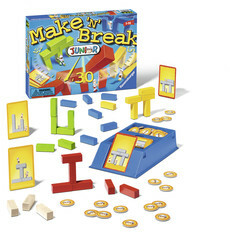 In Ravensburger's Make 'n Break Junior game, kids ages 5-99 will have fun racing to build structures. Each player has a set of blocks. In each round of play, players try to build structures as shown on game cards. There are different cards for different skills levels. Ravensburger's created Make 'n Break Junior to develop children's fine motor skills, hand-eye coordination, shape recognition, and more. Read more from Dionna of Code Name: Mama. Toddlers and preschoolers will love Ravenburger's 3-dimensional game with a colorful farm scene and sturdy game pieces. You can adapt game play to your child's skill level and interest. 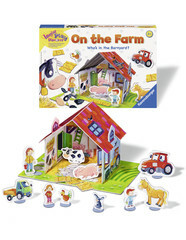 On the Farm was designed to help toddlers develop association and deduction, build vocabulary, and learn social rules such as turn-taking. Most importantly, playing games like On the Farm with your children will create opportunities for connection that will last a lifetime. Read more from Dionna at Code Name: Mama. From our reviewer Shannon of Pineapples & Artichokes, a review of Sparkle Stories! 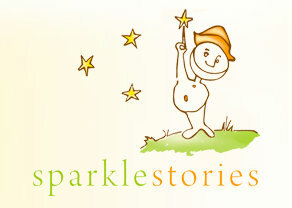 Sparkle Stories is a resource for original, high-quality online stories. Sparkle stories are designed to be fun for kids and adults, and encourage imagination and creative play. With a subscription to Sparkle Stories, you will get new seasonably appropriate story magic each week, to be enjoyed online or downloaded and taken with you wherever you go! This is the perfect gift to give to long distance friends and families you love — every time they log on to enjoy a new story they will certainly think of you. The mom duo at sparrow & b understands kids. They have created a fabulous array of bright and exciting children's costumes and accessories which encourage imaginative play. You won't be disappointed when your child's face transforms into smiles at the sight of these costumes. Using a mix of new and upcycled materials, these Australian moms make fun and funky hand-made items certain to delight. Read Mandy's full review over on Living Peacefully With Children! Stubby Pencil Studio is a wonderful online shop for families of small children. It is Marybeth of Natural Mom Reviews' go-to shop for any birthday (they have everything you need from inexpensive lovely gifts to eco-friendly party supplies), stocking stuffers, tooth fairy treasures, and more! Stubby Pencil Studio has a carefully curated selection of wonderful products to stimulate any child's imagination, including games, books, puzzles, and of course, art supplies. 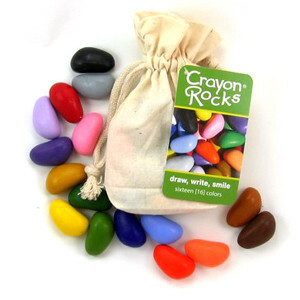 One lucky reader will win $75 worth of awesome art supplies & toys from Stubby Pencil Studio for their family, including these awesome Crayon Rocks! 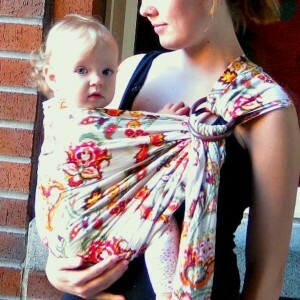 From Stefanie of Very Very Fine comes our review of the awesome Umi Ring Sling. This sling is an organic and handwoven cotton ring sling perfect for wearing your babies. Each ring sling is a collaboration between Project Baby Bilum and Umi Sling that is a catalyst for change, giving women the tools they need in impoverished parts of the world to improve the health of their babies by providing access to their mothers and to the life-giving breast milk that they need to survive. Each Ring Sling is a well-made, durable, single-layer ring sling sold at an affordable price and made with the highest quality fabrics. When customers purchase an Umi Sling, Boho Mama sews another one and they are all shipped to the women in Bamio and the surrounding areas. 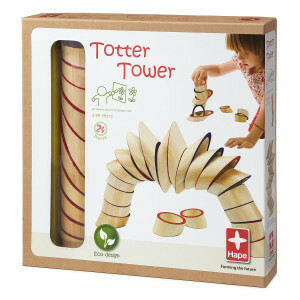 If your child is tired of the same old wooden blocks, the Totter Tower will be sure to re-pique her interest. These uniquely angled cylinders are made of bamboo, and their flocked edges will make building incredible structures possible - the lining keeps the blocks from sliding around. Designed for children ages 3+ (but sturdy enough for my toddler! 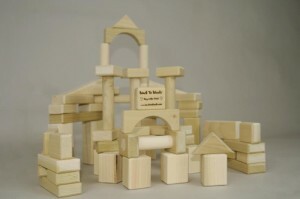 ), your child will have endless hours of fun building everything from towers to arches and more. Read more from Dionna of Code Name: Mama. Do you have a budding inventor? The OgoBild Hub, only $20 from UncommonGoods.com, will spark your child's imagination for hours on end. 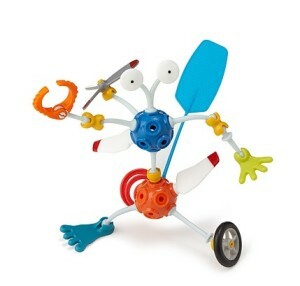 Manipulate the flexible and interchangeable pieces to create creatures, robots, vehicles, and other crazy contraptions. Read more from our reviewer Dionna of Code Name: Mama. Woolino Pajamas are beautiful 100% superfine merino wool pajamas for your little ones. These pajamas are smooth and lightweight to touch, breathable, warm in the winter, and cooling in the summer. 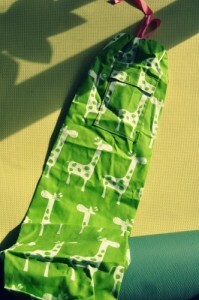 Marybeth of Natural Mom Reviews lives in snowy Colorado and has tried out these beautiful pajamas with her 5 year old. Since it's already snowed there a few times already this winter, and her little one won't keep her blankets on (ever), snuggly pajamas are a wonderful gift. These pajamas are so soft they feel like cuddling with a lovey, and in addition to being great pajamas, they make a wonderful layer beneath her snow pants & coat for extra warmth. NPN readers can use coupon code NATURALP for 10% off a whole order through December 6. YumEarth is an organic candy company, born out of the creators' desire to “feed our families a diet rich in delicious healthful foods free of high fructose corn syrup and artificial dyes. 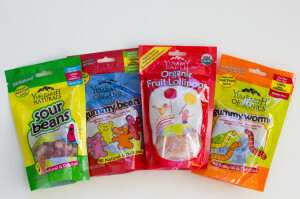 YumEarth tastes better because we choose real fruit extracts and planet friendly ingredients grown on sustainable family farms to sweeten our lives and yours.” Enter to win a great prize pack of organic, natural and allergy-friendly lollipops, sour beans, sour worms and gummy bears in this review from Laura of Walden Mommy! 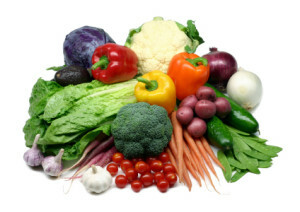 Door to Door Organics of KC delivers local, organic produce (and more!) directly to your door step. Their customizable produce boxes make eating fresh, healthy foods easy and affordable. The on-line store allows you to shop for all your food needs in one spot and it is easy to find GMO, Kosher, organic, local, and/or grown in the USA products- all without the hassle of the grocery store! Enter to win a $50 credit towards anything in their shop! Read Laura's full review over at Walden Mommy. As a mother to four, I have many years of memories of my children. When we are so immersed in our day to day, we don't often have time to sit down and recount the little and big events that make up our lives, but that our children and future generations will cherish deeply. 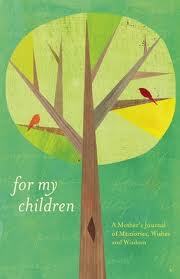 For My Children: A Mother's Journal of Memories, Wishes and Wisdom is a truly wonderful gift. It is the gift of a mother giving her thoughts and feelings and her total self to her children in a way that is far more intimate than many of us tend to express. Read more about the journal from Destany at They Are All of Me. Have something you love enough to put your name on it? Does your computer need brightening up? Maybe even a wall? Time to check out Kidecals! Their fashionable decals are just the thing. The name labels stick to anything, including clothing, and are waterproof and washing machine safe. The canning labels are dishwasher safe. And the wall decals are re-positionable. Jennifer at True Confessions of Real Mommy of shares the personalized canning labels she used to adorn her homemade goodies for easy gift giving! 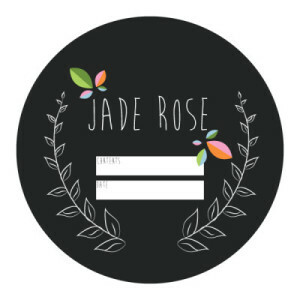 10% off your entire order at Kidecals! 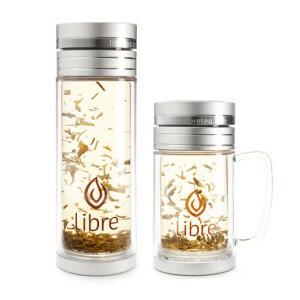 Libre Tea is inspiring tea moments everywhere with their lovely tea glasses. Now you can enjoy hot loose leaf tea wherever you go. The Libre tea glasses are not only very practical, made with glass on the inside and durable poly on the outside, but also beautiful to look at. People always take notice of this unique tea glass as your brewed leaves float and create an elegant view in the glass. Choose from the original size, large size or handy mug. 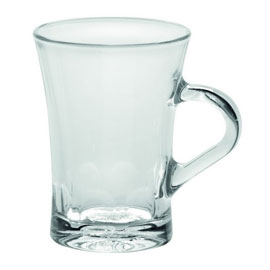 Give the tea drinker on your holiday shopping list a truly unique gift with the Libre Tea Glass. Read the full review over on A Little Bit Of All Of It! From our reviewer Lyndsay of ourfeministplayschool, a review of Lucy Locket Creations' Yoga Bag: Lucy Locket Creations makes stunning textiles for your home and life. 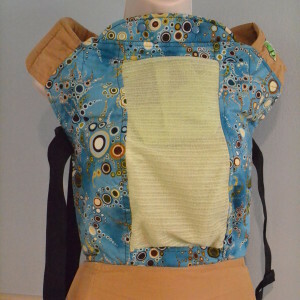 The yoga bag is a colorful testament to the great fabric items to be found in the Lucy Locket Creations Etsy shop. The attention to detail and sturdy nature makes this bag a yoga essential. But don't think for a second that you are limited to yoga gear, Lucy Locket Creations is bursting with quilts, totes, throws and pillows you will love! Read Lyndsay's full review. from now until December 20. Mighty Nest is an awesome eco-conscious company where all products are free of lead, BPA, PVC, phthalates, parabens, formaldehyde, melamine, chemical flame retardants and more. They choose products made of stable non-leaching materials such as glass, food grade stainless steel, silicone, natural wood and bamboo, organic cotton and natural rubber. Our reviewer Kellie of Our Mindful Life reviews the Amalfie Mug and the Jardin silicone coasters that are perfect for your family! Use code NPN10 from Nov 24-Dec 7 for 10% off your entire order (excludes mattresses & air filter systems). Natural Herbal Living Magazine is a fantastic way to learn about herbs and all of their amazing properties. With the addition of the Herb Box, you can go in depth and have all of the ingredients to make several recipes from the magazine for the herb of the month. Focusing on one herb a month, the magazine will allow you to really hone in and focus for a month on just that herb and develop a relationship with it via the Herb Box. Build up your natural medicine cabinet with the herbs right for you and your family by learning what works and what doesn't! Read Julia's full review over on A Little Bit Of All Of It! Use code NPN2013 for 10% off your first order! No Junque Skincare has created a nourishing, long lasting body lotion that is truly a luxurious, all natural treat for the skin. It is gluten free, GAPS friendly, not tested on animals, and only created with ingredients found in nature. The lotions are not greasy, fast absorbing, and smell delicious! No Junque Skincare has easily become one of my favorite whole body lotions. You can read Jennifer of Hybrid Rasta Mama's full review! Paisley Place is a growing Facebook business that creates adorable, custom clothing items for your every need. Visit Paisley Place for personalized bags, outfits for the whole family,snap mats and more. Enter to win a soft chevron infinity scarf, personalized with your initials. 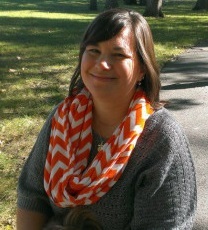 Our reviewer Laura enjoyed trying out her lovely orange chevron monogrammed scarf in the recently chilly fall weather! Read the full review at Walden Mommy. Paperless Kitchen was founded as a way to help those families looking for ways to go green and lower their environmental impact, while providing a healthier lifestyle. Small changes can help save the world. You can make a small change yourself by switching out your paper towels for reusable clothes. One eco-friendly skoy cloth is the equivalent of 15 rolls of traditional paper towels! 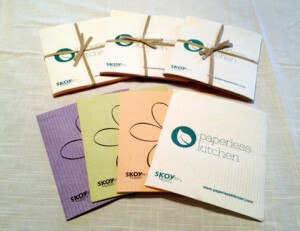 If you are looking to make other environmental changes or are just looking for some fun gifts that won't hurt the planet (or your family), check out Paperless Kitchen, a company that cares - about the environment and their customers. Read Mandy's review over on Living Peacefully With Children! Use coupon NPN10 for 10% off your order at Paperless Kitchen! You will find only true artisanship at Pixie Glassworks. 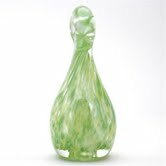 These hand-blown glass pendants are not only beautiful to look at, but they hide a secret. They hold all natural essential oils inside, slowly diffusing the oil as you wear it around your neck. Choose an essential oil which works for you and bask in the scent of these gorgeous aromatherapy pendants. 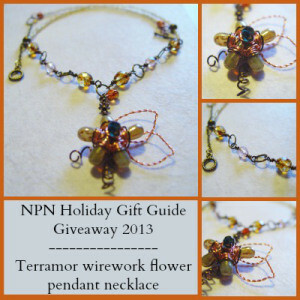 NPN readers can use code Pixie$5off for $5.00 off their order through December 13. Offer only valid outside the US. Read more about the fantastic essential oil pendants from Pixie Glassworks from Mandy of Living Peacefully with Children. prAna started back in 1992 with clothing that worked well for climbing and yoga. If you are an outdoor enthusiast, prAna has a full line of activewear and outdoor wear that you'll love. But their clothing doesn't stop there! From casual wear to dresses and skirts, you're bound to find something that fits your lifestyle. It's easy to find Fair Trade Certified clothing, too, which is great. Their line of sweater dresses is perfect for the cooler months and perfect for gift giving! Worn on their own or paired with boots and leggings, it's a great way to stay warm in style. prAna's clothing would be perfect for anyone on your gift giving list. Read Julia's full review over on A Little Bit of All of It. Our reviewer Laura of Pug in The Kitchen reviews Radiantly You's Dead Sea Mud Whipped Face Wash, Vanilla Mint Lip Balm and luxurious Vanilla and Lavender Bud Sugar Scrub. 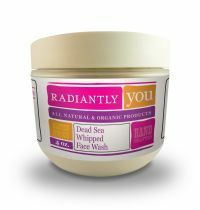 Radiantly You uses only raw and unrefined products, which means they have never been bleached, added to or stripped of their natural vitamins and nutrients. Their organic ingredients are sourced from reputable, certified organic vendors and they take great care in making sure our ingredients are both ethically traded and sustainably harvested. If you're one of the many individuals suffering from eczema or a gluten allergy, these products are free from any additives and beneficial for your skin. You diligently decide on meal. Make the effort to get to the store, get it home, prep and cook. 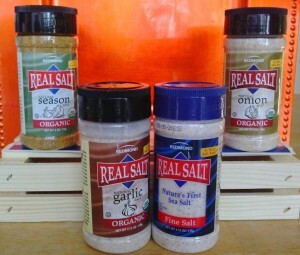 So, why use any old table salt in it? Time to give Redmond Trading's Organic Seasoning set a chance to bring out the natural deliciousness in your food, and find out how they add a new dimension to your food. Jennifer at True Confessions of a Real Mommy put them to the test, find out what her family thought. 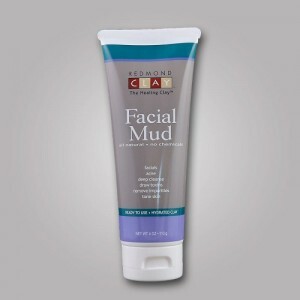 Redmond Clay Bath Salts & Facial Mud set are an awesome addition to your beauty routine. Redmond Clay is a completely natural bentonite clay, extracted from the earth and brought to you in its pure, natural state. 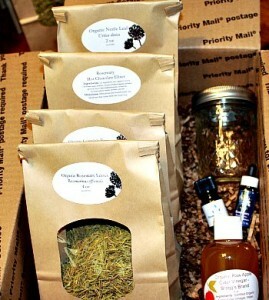 Not only are these products made with the highest quality ingredients available, they are also healing for your skin. Read about Amy's experience on Me, Mothering, and Making it All Work. 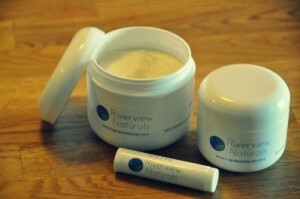 From Lyndsay of ourfeministplayschool comes a review of Riverview Naturals skin care products: All items made by Riverview Naturals have a shelf life because they contain absolutely 100% all-natural ingredients. With enchanting hints of vanilla and lavender, these products are nourishing to the skin and the soul. Made by a mother with a passion for ecology, and a sense for what our bodies really need, these products are a welcomed addition to any skincare regime. And just for our readers, enter code NPNHGG13 for 10% off any purchase between now and December 15. From Stefanie of Very, Very Fine, Smart Mom Jewelry is a unique company that offers stylish, fun, and pretty jewelry for mom that is perfect for teething babes. Not only will you love this jewelry, your teething or nursing little one will too! 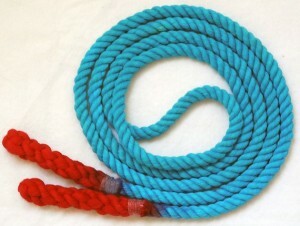 Their whole line is safe for teething and makes a great nursing necklace if you have a "twiddler." These would be wonderful keepsake pieces to hold on to after your little ones grow up, as well. Strawesome is a family owned company dedicated to helping customers go green. All of their reusable glass straws are handmade right in their Michigan shop and include a lifetime guarantee! 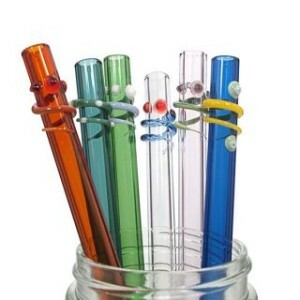 From plain to colorful to funky and in a range of sizes, Strawesome has glass straws to meet your needs. Switch to environmentally friendly and toxin free glass straws and stop throwing your money into the landfill. Read more about Strawesome from Mandy on Living Peacefully With Children. 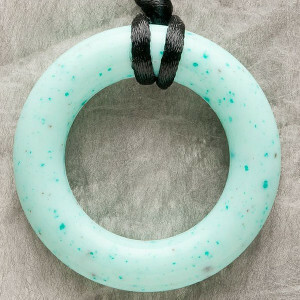 Terramor Jewelry is a lovely company that creates one of a kind jewelry pieces that are both ethical and gorgeous. This jewelry is handmade in Ireland with a mixture of twisted silver work and beautiful beads such as garnet, pearls, and carnelian. Each piece is a one of a kind piece of art and you will love them so much you'll want to wear it all the time! Shannon of The Artful Mama shares her experience with us. Just for NPN readers, use code NPN10 for 10% off Etsy purchases! Texture Clothing is clothing with a conscience! Made in the US from under- represented fabrics, like hemp and soy, these high quality clothing items are made with curvy women in mind. Functional, flattering and fabulous, their clothes are worth the spurge. 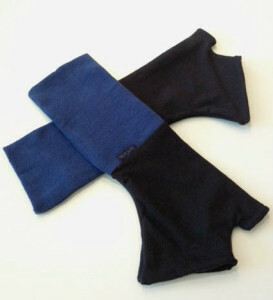 Enter to win a pair of Knit Mitts to keep your hands toasty warm and fashionable this winter! Read the full review from Laura over on Walden Mommy. 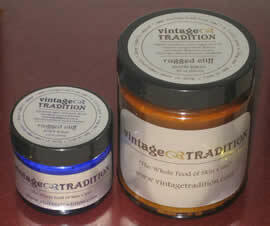 Vintage Tradition Body Balm is deeply nourishing, whole body care for face, lips, hands, feet, and everything in between. It can be used for all manner of skin conditions including dry, chapped, calloused, cracked, and sun-damaged skin, rashes, burning, itching, wrinkles, and more! This whole food for skin is how people cared for their skin before chemicals. The body balms are light, penetrate quickly, and have a very light scent from the essential oils! The tiniest amount goes a long way, making these very economical as well. You can read the full review from Jennifer of Hybrid Rasta Mama! Laura at Pug In The Kitchen brings us her review of the lovely skincare products found at Willow Tree Minerals. These products are beautiful, all natural makeup from a company that is family owned. The integrity of our Willow Tree Minerals' ingredients far surpasses any other organic or natural line on the market- not only are they extremely luxurious but affordable as well. These products never contain preservatives, chemicals, dyes, synthetic fragrances, parabens, or other toxins. This is makeup you can feel as good about inside for using as you will wearing it. Enter to win in one of our six Rafflecopter widgets! For actions like following and subscribing, if you already follow or subscribe, just tell us with your entry. Tweets must be a minimum of 24 hours apart — you can return to update your Rafflecopter entry without losing any of your previous entries. Your Tweets must be unprotected (publicly viewable). Rafflecopter will pick the winner through Random.org after the contest closes, and a representative from NPN will send an email notification. Leave a valid email address as you enter so we can contact you if you win. If we can’t reach a winner, we’ll draw a new name at random. The winner will have 48 hours to respond by email; otherwise, NPN will select another winner. No purchase necessary. Entrants must be age 18 or older and be residents of the United States. The number of eligible entries received determines the odds of winning. Winners agree to hold Natural Parents Network and the giveaway hosts harmless for any problem with receipt and/or use of prizes. Winner must contact the product seller or manufacturer directly if there is any problem with the prize or prize delivery. Winners are responsible for any taxes or customs fees related to prize winnings. NPN and the giveaway hosts reserve the right to publicize the winner's first name. Void where prohibited by law. and consideration was given to NPN for hosting the giveaway. Amazon and other links may be affiliate links. recommending it to you. See our full disclosure policy here.